The last days of my Seoul trip arrived. For the last nights I moved once more and stayed at the ibis style hotel in Myeongdong. The ibis style hotel Myeongdong is a 4-star hotel and I was very excited to stay with the hotel, as it was my first experience ever to stay with an ibis hotel..
As I became extremely obsessed with Myeongdong from my first visit, I was happy to stay in the famous district. The ibis hotel is located next to the shopping streets, maybe a short 2-minute walk from the big buzz. As I’m usually more into luxury travels, I was surprised that ibis actually has a more elegant solution as well, as I know ibis hotels mainly for budget resolutions only. 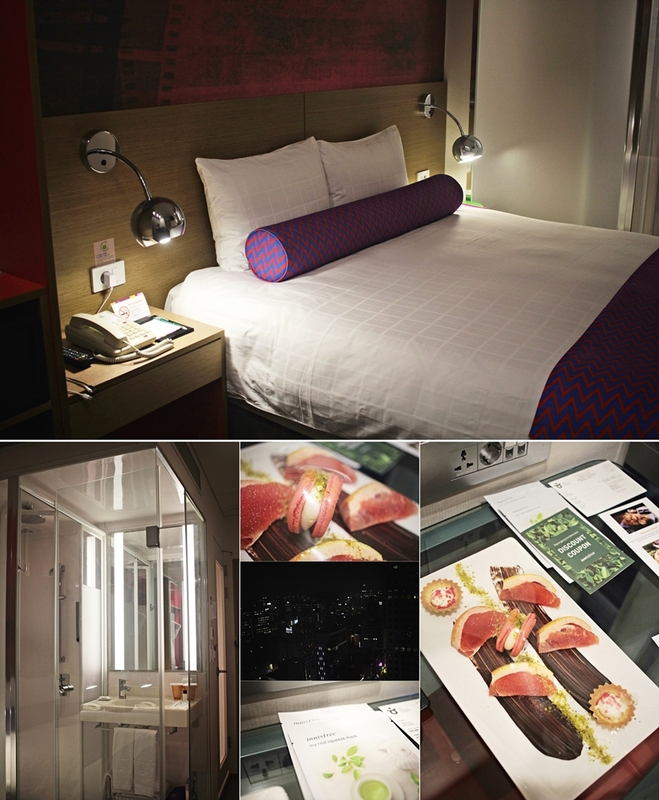 However, the ibis style Myeongdong is a 4-star property, that deserves its star rating. 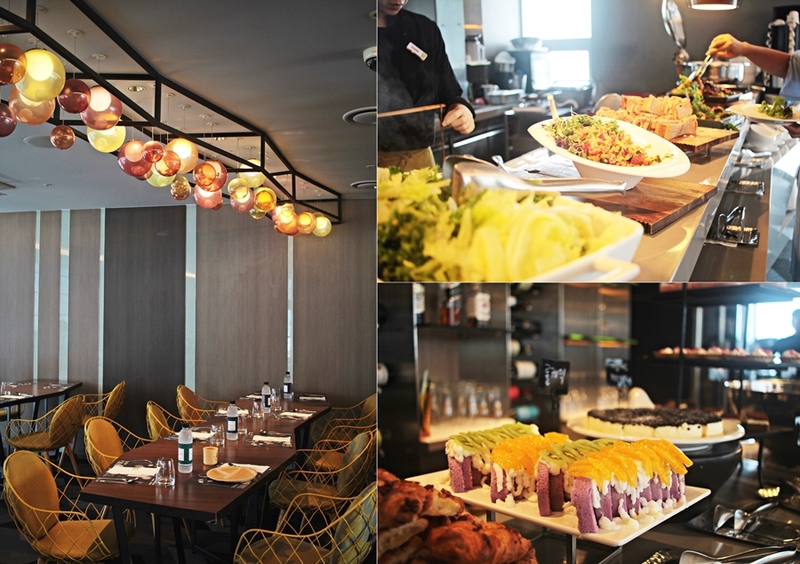 With a total of 21 floors the ibis style hotel in Myeongdong comes with a variety of facilities and handy features. I would describe this hotel as a perfect travel resolution for the young travel generation that wants to explore but also stays comfortably while doing so. The ibis style Myeongdong has the budget background but offers a little “extra”, per example with a complimentary gym, sauna and laundry room. The rooms are modern in terms of its design and a little small, however, totally fine for a city trip. My room in the 20th floor came with a separated bathroom for the toilet and shower. Something I really liked is that the hotel works with a Korean beauty brand. Therefor guests are supplied with free face masks in the room and also receive gifts in the store, so as special discounts. Upon my arrival I decided to leave the luggage with the hotel and explore the area, before checking in, as I arrived too early. When I checked in and came back in the evening, I was surprised to find a sweet welcome snack in my room. In terms of comfort I must say the bed was on a high standard and very comfortable. I love soft pillows and was happy to sleep tight and relaxed in my king-size bed. On the next morning I discovered more of the hotel, so as the gym. The gym is small but offers 3 cardio devices and some weights. 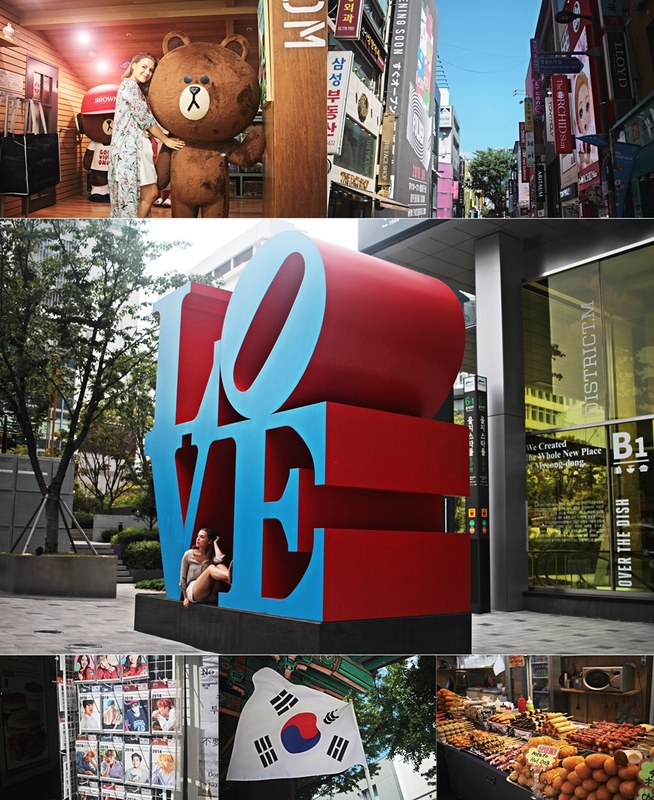 I guess when staying in Myeongdong, most of the guests go out and spend the entire day exploring the location, so as I did. However, the sauna is a fantastic addition, as it´s an ideal calm down after a long say in the city. The ibis style hotel Myeongdong also has a comfortable lobby area, which is an artpiece with lots and lots of paintings. Something guests shouldn’t miss is the terrace on in the 21st floor. The breakfast in the 21st floor is possible to be enjoyed indoors or on the terrace. I enjoyed my food on the terrace and can tell “room with a view” has a different meaning from now on. The breakfast buffet offers various hot and cold dishes, which are changing on a daily basis. One the weekends guests can also enjoy a brunch. 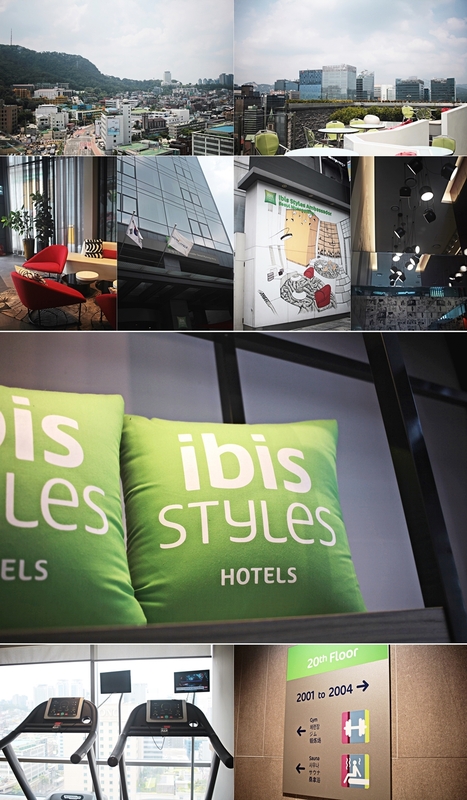 As previously mentioned, the ibis style hotel Myeongdong is perfect for sightseeing. Busses and train stations are only a few minutes’ walk from the hotel. Even though the hotel is located in the busiest district of Seoul, it´s not noisy, not even in the night. My first stay with ibis hotels was a comfortable and good experience and my image of the hotel has definitely changed for the better.